Every home needs fire extinguishers! This deal is only good today. 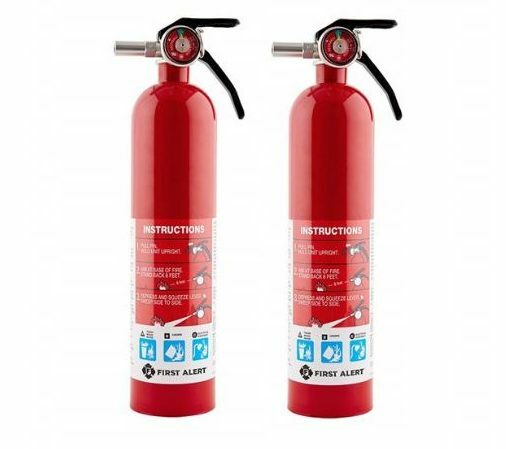 The First Alert 1-A:10-B:C Rechargeable Home Fire Extinguisher is ideal for use in any household location designed to fight wood; paper; fabric; flammable liquid and electrical fires. This multi-purpose extinguisher fights wood; paper; fabric; flammable liquid and electrical fires. Durable metal head designed to meet demanding household requirements. If the unit is used; it can be recharged by a certified professional. Includes mounting bracket to keep unit secure. Meets UL standards.